Lies at every instance of truth, even when the truth might have been desired, lying has become a habit and it is rather difficult to say the truth. Even swears in the name of God when people are in disbelief. Always clothed with vile revealing dresses and clothes that make them worthless to behold while they think it is fashionable. They satisfy this guilty pleasure not because they have to but because others are doing it. When will you learn to have a mind of your own and stand for something rather than falling for anything? You are beautiful on face value but Illicit sexual activities make men look at you as a cheap model. Men talk too and after a few rounds with one or two guys in the same region, all the others around already know your cup size, smell, and as they say your ring tone (orgasmic sound). Enjoys loathsome habits that undermine character and injures the health, but they are unaware. Drinking and smoking seems rad and snazzy among mates but causes aged and wrinkled looks. The beauty of the early years diminishes. You are quick to tell a man how you feel about him, you give him your body to get love, but in turn, you get hate. This is because nobody wants what they don’t toil for, they think it is money cheaply left on the floor, no matter how much it is, its value is still lesser than several hours of effort in the field and so is the spending. Men were made to hunt, not to value things found cheaply. Tells the truth even when Oprah Winfery promises a fortune to say the contrary. Verse 11 says “The heart of her husband trust her safely”. What such reliance without any iota of doubt!!! Instead of transparent/breast- revealing tank tops and a skirt that makes Agbero boys (touts) drop your keys so you can bend for a obvious film of shame, you embrace decent and respect-compulsive fashion that make the same Agbero boys hail MAMAAA AWON BOYS! Give us something now. IYAAAAAAAAAAAAAA OOOOOOOO. Verse 22: “She makes herself coverings of tapestry; her clothing is silk and purple”. Beauty is not in fishnet stockings, but character. Instead of sleeping around like a female dog, and drinking, smoking, tattooing and piercing, there is no time for redundancy. The focus is on thriving the best at a chosen vocation. Verse 27: She looketh well to the ways of her household and eateth not the bread of idleness. Instead of asking men out like a desperate ‘I’m-past-my-twenties-Please-Marry-me-please’ (MAGA) Men value, respect and places high price on her, seek the face of God and start seeing millions of I was drawing water from a well for you visions. 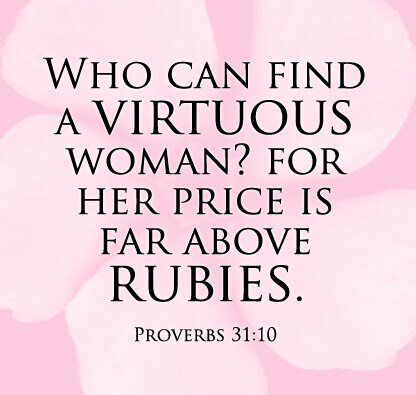 Verse 10: Who can find a virtuous woman, for her price is far above rubies. 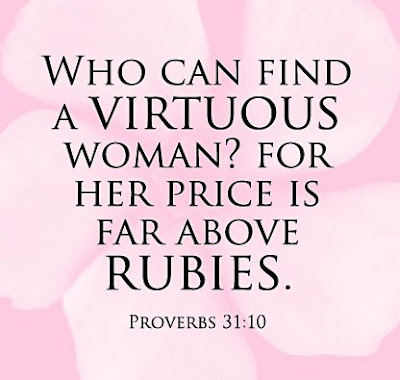 Charm is deceitful and Beauty is Vain but praise a Woman who fears the Lord!!!! One thing I liked about this was that you didn't mince words. You said the truth by focusing on women of today and the common things we see women do in our society. This has got to me one of the most-thought provoking pieces thus far. Thanks kennis, God bless you for writing your views. very very and again very provoking thought u have there! "Men were made to hunt, not to value things found cheaply"--true words tho! M3hn! You've hit this one smack on the head. Very nice and practical delivery. mehn! Imisi. Thanks. You are best at words, themes and humor brof. I"m damn gracious at your comment Gee. and Jeez, Saltiness is a lot. Your a great inspiration. Kennis, you don yama! lol. I love the GBAM! descriptions. True depictions without faults. Blessing bro.